Great Customer service is not for everyone. There I said it. My fellow customer service leaders may hate me for saying it, but it is true. After reading a great post on B.L. Ochman’s blog “Google’s missing link: customer service. It has none.”, we began engaging in a conversation over twitter. My heart agrees with B.L. about the importance of great customer service as a key differentiator for many companies, and my head knows many of the most profitable companies in the world are not customer service focused. 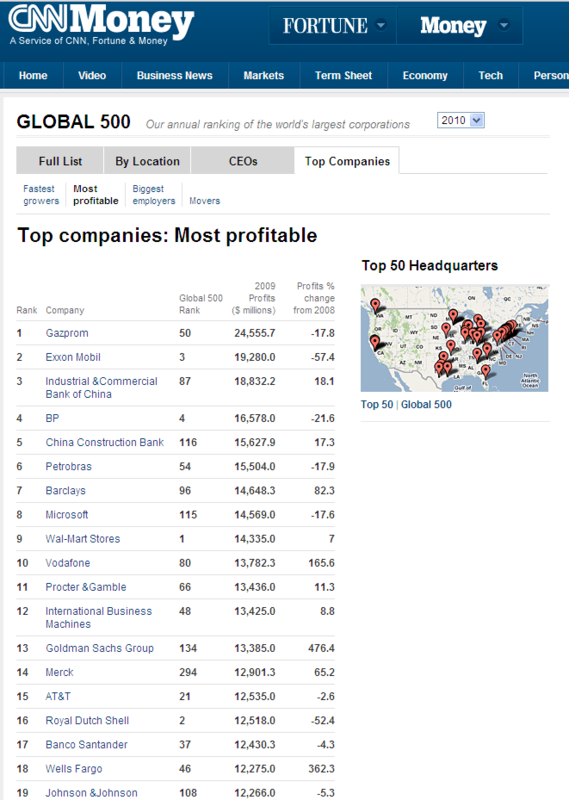 Take a look at the most profitable companies of 2010 from CNNMoney, I don’t see any customer service superstars. Don’t forget, for companies, customer service is not the end goal. The end goal is for the company to win, and for most companies, that usually directly ties back to share of wallet, profitability and/or shareholder value. Exxon, Microsoft, Walmart, BP and IBM do not inspire customer service leaders or customers, but evidence shows that they are successful (at least monetarily). B.L. brought up a good point around Apple. I do not think Apple provides a great customer service experience, I think they provide a great customer experience. I think they provide a great customer experience through design and usability. The Genius Bar is nice, but if I have to go all the way to an Apple Store to get something fixed and speak to someone, I would not consider that a great customer service experience. So does Google need great customer service? I do not think they do. Their core competencies are about search technologies and other work tools. Just as in Jim Collins’ book Good to Great, Google can be the best in the world at search. Customer service does not fit into their hedgehog. Now all this being said, customer service can be a huge differentiator for many companies; it is part of the mission and value proposition of the company that employs me. Superior service can keep customers loyal in high competition and commodity markets. Incredible service can make it easier for your customers to spend more with you each month/year. With the addition of social business and media tools, fantastic customer service can help you acquire customers via word of mouth promotion. Delivering “awe inspiring” customer service is critical to many companies, especially small businesses, but I do not believe it is right for everyone. Do you agree with B.L.? Does Google need to provide good customer service to remain a top performing company? When does customer service matter, and when does it not?